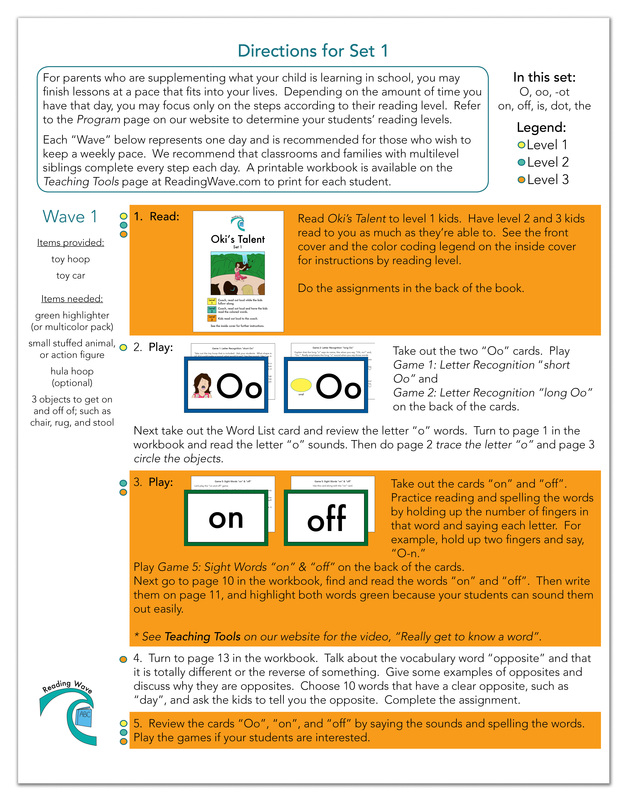 Help young learners acquire a love for reading with Set 1 of Reading Wave. 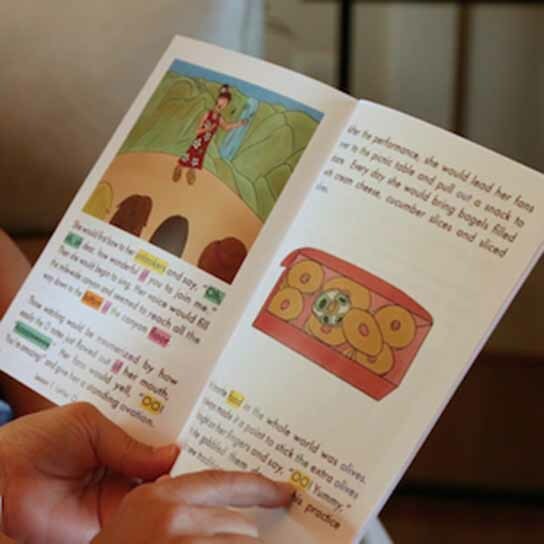 Our unique language arts program gives parents the tools to teach their kids to read using Move and Play reading games, original color-coded books, and workbook assignments. 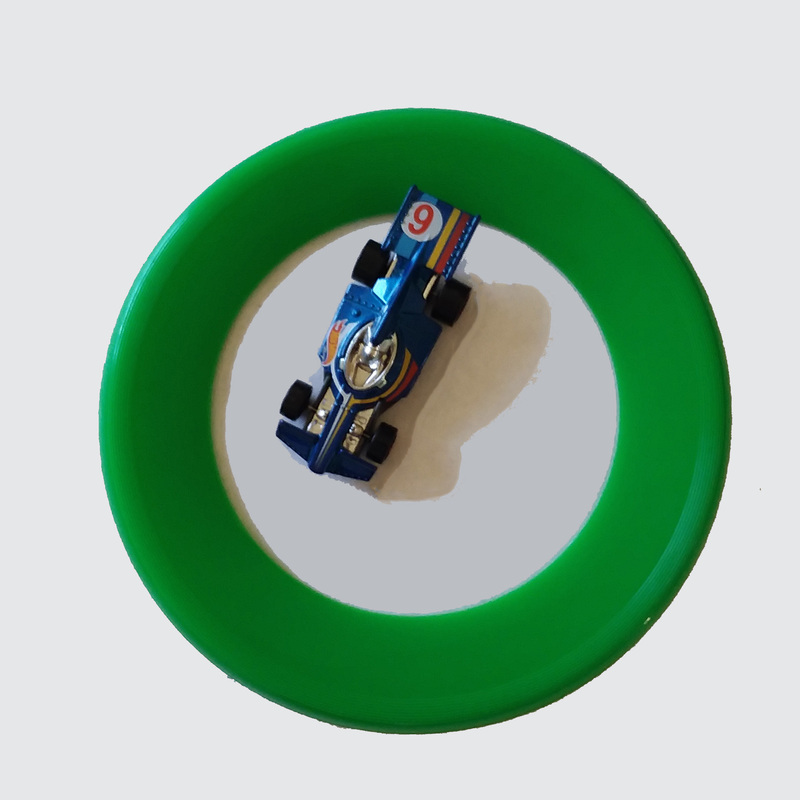 This set includes three reading levels for kids ages 3 to 8 that can be used with siblings or throughout the years as your child grows. 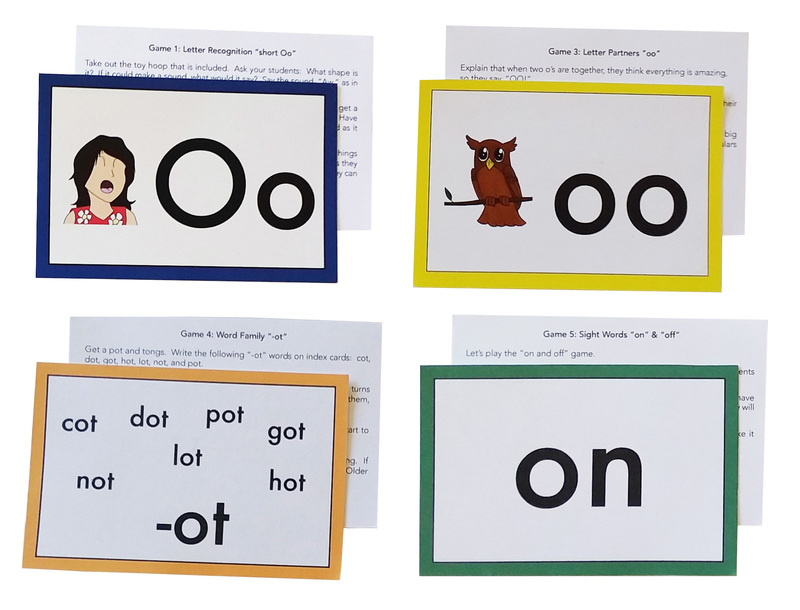 Move and Play reading games add a twist to traditional reading lessons, encouraging kids' participation and enhancing brain development. Directions are simple to follow, making it fun for everyone.